Daily Thoughts and Random Ideas: Mikulás! Happy Santa's Day! ^_^ Well, it is a traditional celebration in Hungary, and I believe in other European countries as well. At least I think my friend Trish has mentioned it. It's not traditional in Costa Rica, so when we celebrate with the family, the little packages are put together by hand. In other countries, such as Hungary, the packs are available already packed up, so parents or other people giving them only have to roll down the candy aisle and pick up as many packs as children they will be giving the packs to. I haven't done much research about it, I just enjoy it, so I'll tell you a little bit about this day - to the best of my knowledge! Santa's day is a another of those magical celebration days where teh magic happens over night. In this tradition on the night of December 5th, childre polish their shoes and leave them in the window, or outside the door. Over night Santa comes and leaves a present in the shoes, if they have been nicely polished. Good children get fruits and candy and bad children get some branches of something called "virgács" in Hungarian. I believe it might be called "birch" in English. 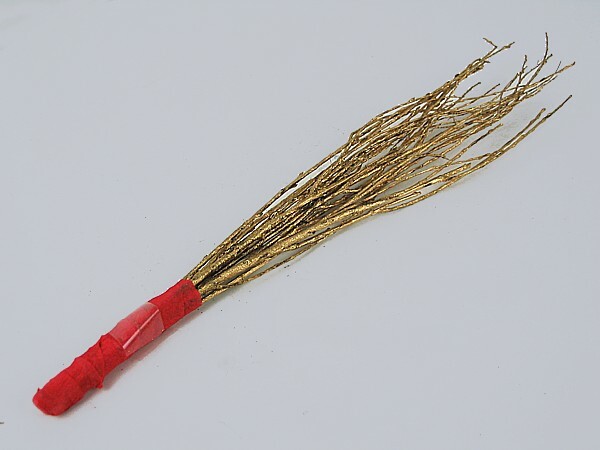 Commercially available packs usually include some birch, either because they believe everybody has been naughty, or most likely because the branches themselves are pretty, specially when they spray them down with golden or silver paint. Though admitedly Santa's Day has become somewhat commercial, I still like it better than Christmas because people don't do lists of what they want their packs to have. You give from your heart what you truly believe to be good, and you receive with gratitude the small surprises that came from the heart of others. 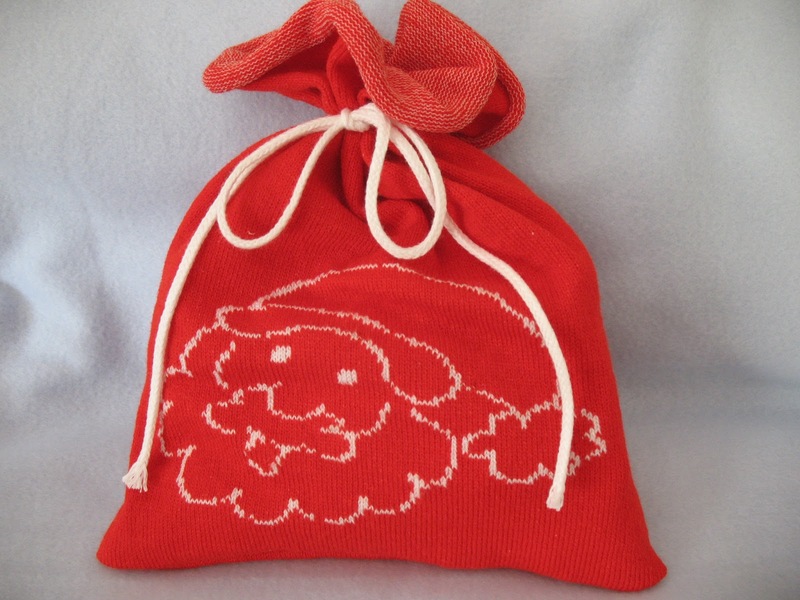 There's a sense of beautiful wonder and magic when you find the little red pouch in the morning, and for a moment you truly believe that Santa had magically found his way to your home and left you a little magical something. As you receive, there are no expectations and therefore there's no deception. Everything, even the smallest, most humble piece is a treasure of fabulous proportions. The second message is to remember to allow yourself to receive without expectations, to enjoy things that come free, things that are simple, things that aren't commercial. It's fine to have expectations about results you have been working with, and demand them. If you pay for an Armani suit, don't settle for a cheap polierster suit with no shape, but when you receive from nature, from others a small token of affection, learn not to demand from them to cater to your needs, but instead look at those tokens for what they are: an expression of love. This last one is the one secret formula of happiness: do not expect certain results from what's not in your power to control or define. You can't control the weather, the seasons, but you can be happy because a new flower bloomed on the tree close to your office. ^_^ Enjoy the small with as much feeling as you enjoy the big, because the size doesn't matter, only the intention and the love behind it.